It has been quite a week here at our house. After a super fun stay in the ER Tuesday night, I ended up in surgery on Wednesday evening to remove my gallbladder. It has taken almost a week but I am finally back to the land of the living and feel like I can finally start participating in real life activities now. Thanks so our amazing families and our very well stocked fridge, freezer, and pantry we have had plenty to eat and drink over the last week. 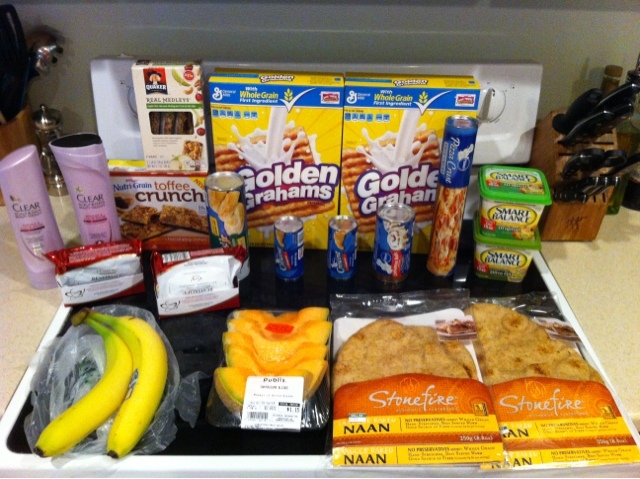 Our big outing last night was to head to Publix to grab a few deals. I am hoping that by Thursday I will be able to do a shopping trip on my own and get back in the swing of making meals that don't consist of soup and saltines. I actually had a gift card from an upcoming blog promo so this whole trip cost us nothing out of pocket : ) Make sure you stop by in this week to win your own $25 Publix gift card and for some revamped recipes that I made and photographed last week before I got sick.